Yellow Pears and Red Plums! 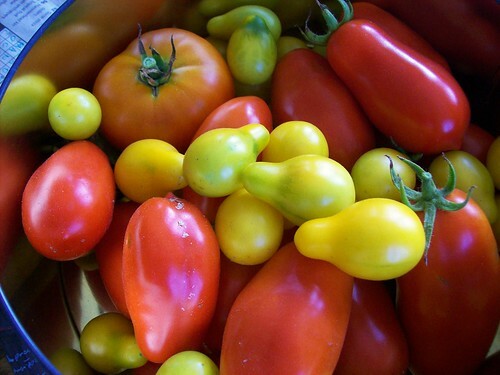 We’re spoiled for choice this Summer in our tomato garden. I grabbed some San Marzano plum tomatoes, one more Sasha’s Altai and a handful of yellow pears to fill my harvest bowl! So yummy… pity the season’s so short!